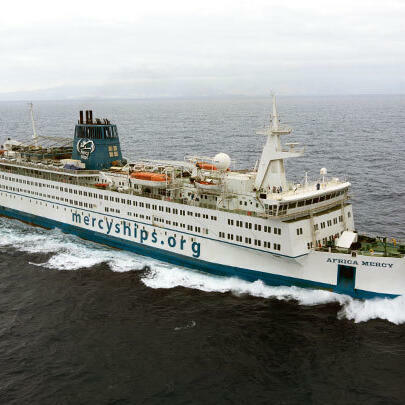 The "Africa Mercy" is the world's largest charity-run hospital ship. It's moored off the coast of Cameroon. Julia went out there in July and won't return home until June next year. Julia normally works as a nurse at the Northern General Hospital. She says her employers have been incredibly supportive of her career break.